Open-Face Chinese poker can be classified as a variant of regular Chinese poker. In case if you are not familiar with latter even then you can learn this game quite easily. The one thing which can help a new player to learn how to play Open-Face Chinese poker more efficiently is familiarity with poker hands. Like any type of poker game, Open-Face Chinese poker is played with a standard deck of cards. Each player is required to form best possible hands from the cards distributed to him by the dealer. The only major difference lies in the fact that unlike other poker variants, this game does not require any bets to be placed during the game itself. All players play with ‘per point’ system. The player who is able to garner highest points is declared winner. Once card distribution of thirteen cards for each player is complete, the players of Open-Face poker are then required to arrange these cards into three hands known as the top, the middle and the bottom. Each player’s hand is compared to his or her opponent by comparing the top hand with top hand, the middle hand with middle hand and the bottom hand with bottom hand. A player is declared winner depending upon how his or her hand measure ups in the comparison with other players. Most of the games are played between two to four players. Starting with the player sitting on the left side of dealer, each player is dealt with five cards in the first phase of the game. The players then set these cards face up in any of the three hands. It should be noted that once a hand is set, the turn is deemed to be concluded and no changes can be made afterwards. After the distribution of the first five cards to all the players, each player is again provided with one card. This continues till all the players have a total of thirteen cards each. Once the last card is served, the players then compare their hands and scores are provided. The player with highest score is declared as winner. As mentioned earlier, the scoring in Open-Face Chinese poker is done through points. Usually in a £1 game, each point is worth £1. The scoring is done in the following way. Each player gets one point for each hand he or she wins. If a player wins in all three hands then he or she gets three points. On surrender of a hand, a player is required to pay two points to each player. In case of a foul, the player charged for committing the foul must pay six points to each player. All the points are provided as per the showdown which involves comparisons of the hands. In the Open-Face Chinese poker, the player sitting left to the dealer is compared first and this comparison goes on clockwise till hands of all players get compared. Royalties are bonus points awarded to players if they make certain hands. 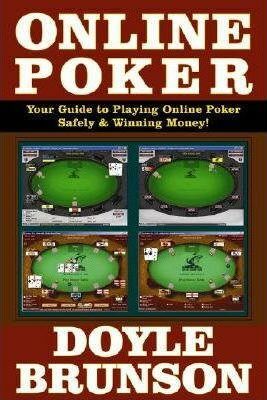 Bonuses are paid generously in this game as hands tend to get weaker as compared to other variants of poker. All hands are valued as per the hands score in poker for example Royal Flush being the top ranking hand while Straight is considered the least valued hand. Royalties are paid to the players during the comparison of hands. It should be noted that these royalties are paid irrespective of the fact whether the player wins that hand or not. These royalties also cancel out each other. For example if two players hit two straights, they will negate each other and no bonus gets paid.